The government has been forced to deny reports of an ongoing battle with the boss of the NHS over plans to improve the health service. 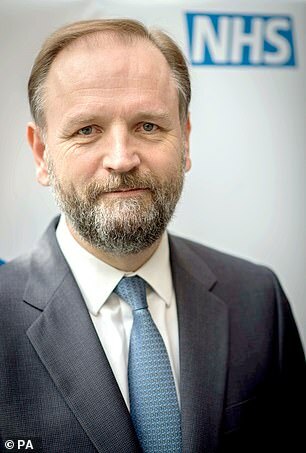 Simon Stevens, the chief executive of NHS England, is said to have ‘deeply irritated’ ministers by saying their ambitions for boosting the NHS using just the £20.5 billion promised by the Prime Minister were unrealistic. He is said to have rowed with Downing Street, the Treasury and the Department of Health and Social Care over how much the upcoming NHS long-term plan will actually improve care. He also refused to guarantee specific improvements that would be seen across the health service over the next five or six years, according to NHS and Whitehall sources reported in The Guardian. 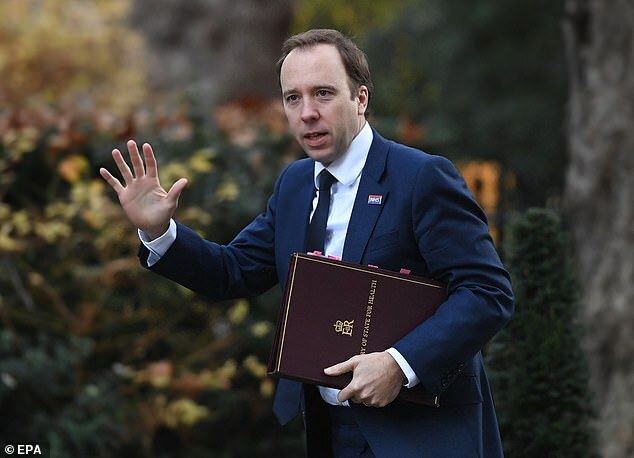 The Department of Health and Social Care and NHS England have both strongly denied a rift, claiming all parties were ‘working closely’ to finalise the plans. The NHS tsar is alleged to have said the cash injection is not sufficient to improve hospital waiting times after years of struggling to meet them as well as covering the attractive promises made by Theresa May and Philip Hammond on improving cancer and mental health care and expand out-of-hospital services. Ministers have demanded the long-term plan includes the specific annu-al improvements NHS England will pledge to make every year from 2019-20 to 2023-24 to its most difficult areas, with percentages showing how close they are to achieving their targets. But they have apparently been left ‘fed up’ with Stevens as he refuses to guarantee the specific improvements that could be made. He is alleged to have warned ministers that the NHS’s crippling staff shortages will prove another stumbling block to the measurable progress they are demanding. An ally of Stevens said: ‘The Treasury are the ones who are especially looking for high-profile and concrete improvements in care that the gov-ernment can sell to the public in return for the £20bn. 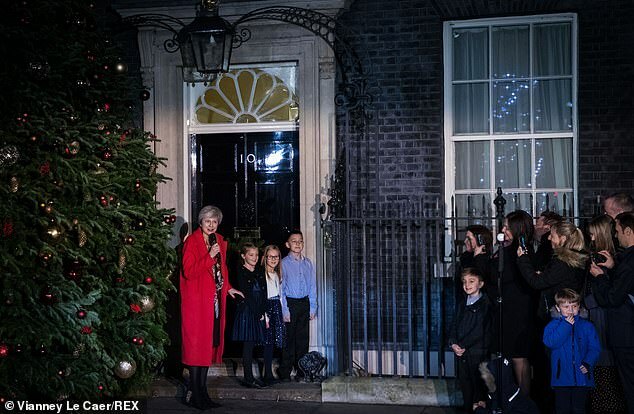 Stevens is thought to feel powerless to publicly criticise the govern-ment’s plans because of the warm welcome he gave the £20.5 billion cash boost – which was announced by Mrs May to the mark the NHS’s 70th birthday in July – after eight years of measly 1% annual increases. The NHS budget will rise from the £115 billion now to £135 billion by April 2023. The long term plan was due to be released earlier this week but was de-layed, with its publication expected in two weeks’ time. NHS Improvement, the service’s financial regulator helping to draw up the plan, warned that it may take five years to restore waiting time per-formance after it emerged last week that hospitals had overspent by £1.23 billion by the end of September – only halfway through the ser-vice’s financial year. Niall Dickson, chief executive of the NHS Confederation, which repre-sents organisations across the healthcare sector, urged against setting ‘local services up to fail’ by trying to deliver unrealistic improvements for the promised sum. ‘The NHS long-term plan is a vital opportunity to improve patient care and change the way we deliver services to the public. But we should not underestimate how difficult it will be to recover performance on waiting times and to move NHS trusts and other organisations back into the black. A Department of Health and Social Care spokesperson denied there had been rows.